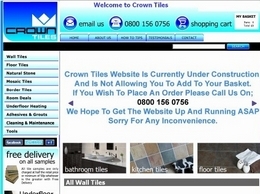 Crown Tiles offers a range of different ceramic tiles including mosaic and border tiles as well as floor and wall tiles. 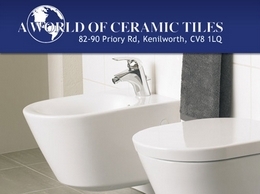 Providing Tiles, bathrooms and showers in Belper and the surrounding areas. 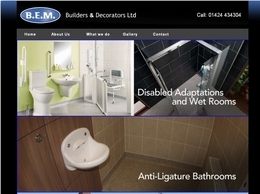 Bem Builders are anti ligature bathroom specialists based in Hastings, Sussex. They are also painters and decorators, plasterers and building conversion specialists. 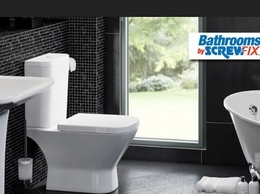 Those people looking for shower bath suites can find a wide range of fashionable and affordable products when contacting the trained team at ScrewFix Bathrooms. 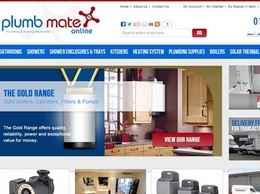 Plumbmate Online provide a wide range of services including bathroom and kitchen supplies. They offer these services throughout the whole of the UK. 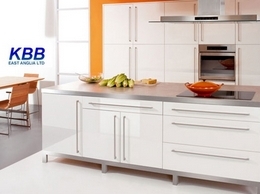 KBB East Anglia offers a range of different kitchens and bathrooms for sale across Ipswich, Suffolk and Woodbridge. 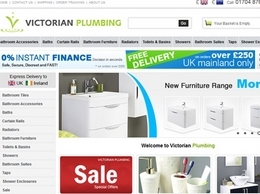 One of the leading bathroom retailers of the UK, Victorian Plumbing has always kept pace with the transforming demands of the customers. 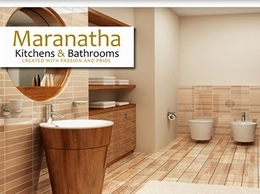 Providing high-quality bathroom products and accessories at competitive prices. 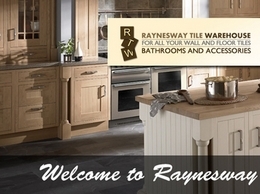 They are a specialist in bathroom and kitchen installations, planning and design services throughout Oxford and the surrounding areas also. 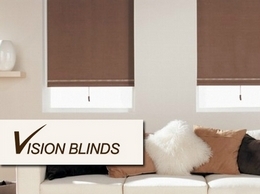 Vision Blinds have been supplying and fitting blinds, awnings and conservatory blinds in Bedfordshire and Hertfordshire for over 100 years. 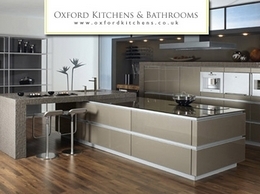 The designers at Oxford Kitchens and Bathrooms can use the latest materials and furniture to produce a contemporary wet room for your home. 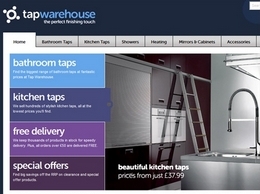 The company work with fittings from Keuco and Villeroy & Boch. 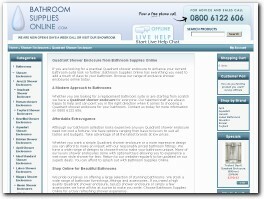 Thinking of installing a new bathroom, or refurbishing your existing space? 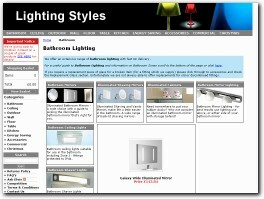 DBS supply a range of fittings, trimmings and cladding options for home improvement DIY enthusiasts, or trade and commercial organisations. 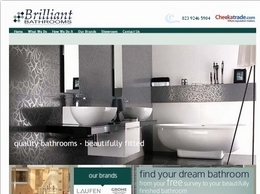 Brilliant Bathrooms designers and installers stocking brands such as Porcelanosa, Dansani, Grohe and more. 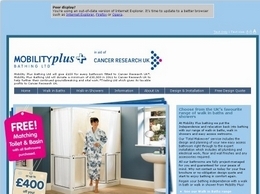 Mobility Plus offer a range of accessibility solutions for bathing, with their choice of walk in showers and easy access baths. 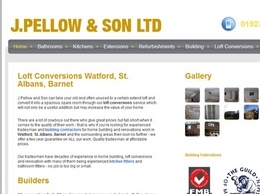 J Pellow and Son are bathroom fitters, kitchen fitters and they also do bathroom remodelling. 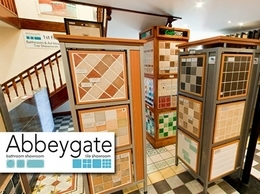 They are experienced builders and do all types of home improvement work. 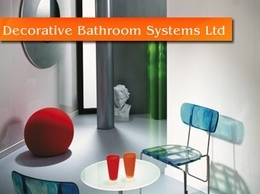 We have over twenty five years of Bathroom Industry experience behind us, and we are dedicated to giving you Value For Money Bathroom products. 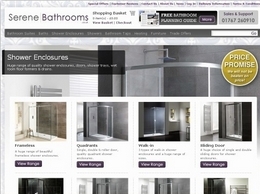 An online bathroom retailer supplying high quality bathroom suites, shower enclosures, cloakroom suites, baths and bathroom furniture at extremely competitive prices. 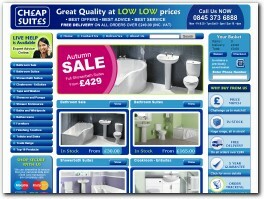 Free delivery on all purchases over £399. 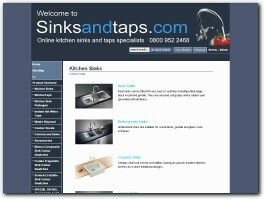 This online kitchen sink and taps specialist can provide you with all the kitchen and bathroom products you need to improve the look, feel and standard of your home. 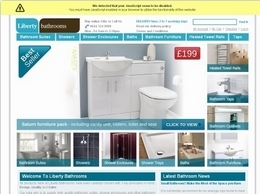 To offer you quality assured hand-selected Bathroom products at affordable prices, with fast Free Delivery and 100% Money Back Guarantee. 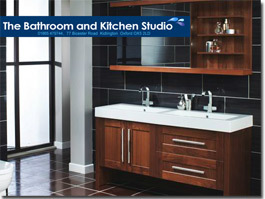 Providing dedicated Customer Service at every step of your journey to a luxurious and stylish Bathroom.